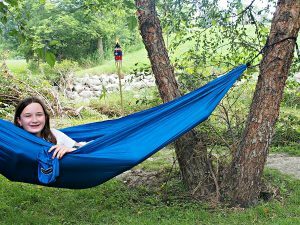 Gift giving can be tricky, but if you’re searching for the best camping gifts to give this year, Camping Tips for Everyone has you covered. No matter if your recipient enjoys roughing it in a backwoods tent or has all the comforts of home in an RV, these camping gifts will be appreciated and used again and again. The items that made the cut for best camping gifts to give this year are items we used and loved- a LOT– in 2018. 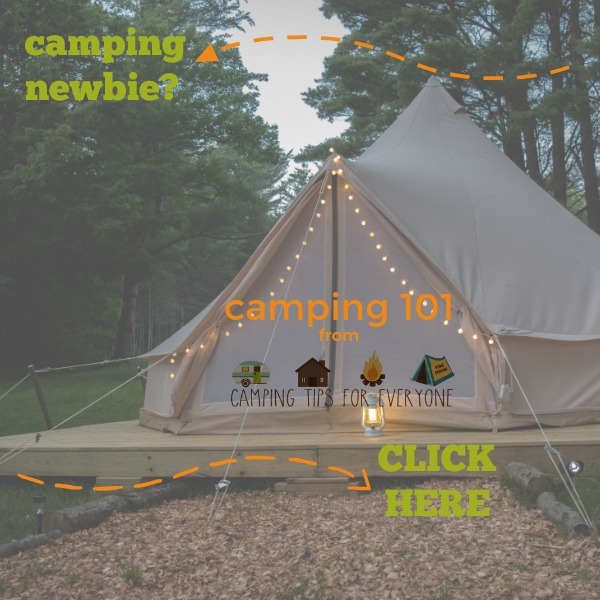 These are items we don’t leave home without, no matter if we are heading out in the RV, spending a few nights in a remote tent, or enjoying the luxury of a glamping weekend. This compact, extendable clothesline has been a constant companion to our travels for a few years now. It’s terrific on a campground strung between trees or RVs. The braided bands mean no clothespins are necessary. We love the Lander Cairn lantern for its incredible brightness. 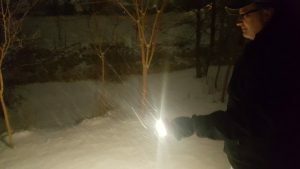 The lantern is waterproof and hangs easily by its bungee-type cord. This lantern is rechargeable and also doubles as a USB charger for phones, two-way radios, and other small electronics. You just can’t beat a parachute hammock! It stores in a super tiny pouch, weighs under 4 pounds, and can go nearly anywhere! String this between trees or posts and enjoy relaxing outdoors! Great for kids and adults! Unhooked, the cuff has a variety of wrenches, screwdrivers, a carbide glass breaker, cutting hook, bottle opener, and other handy tools. It’s easy to remove treads to resize for any wrist. This cookbook really helped me up my game when it came to campfire cooking. 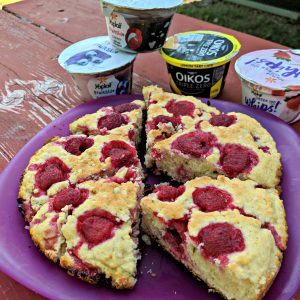 It added a huge variety to our meals and made me a bit more adventurous! 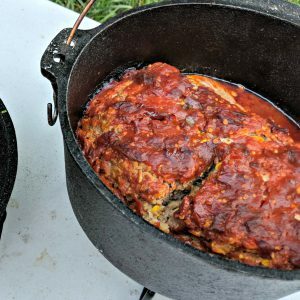 Read my review of the Camp & Cabin Cookbook. When buying a Dutch Oven for camping be sure to purchase an oven with legs so you can put coals under the oven easily. I also recommend purchasing a few different sizes- then you can stack them and easily make an entire meal at one time! For the camper who has everything – and loves pizza! Brick-oven pizza- from your grill! 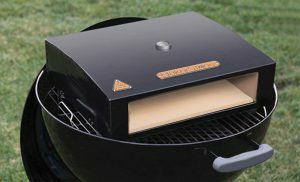 And for those who don’t travel with a large enough grill, there is also a portable gas version. An incredibly thorough guide to the 59 National Parks in the USA. One of the best I’ve found! 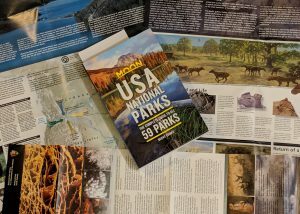 Read my review of the USA National Parks Guide. We usually pack a few different hats, depending on our outdoor activities. 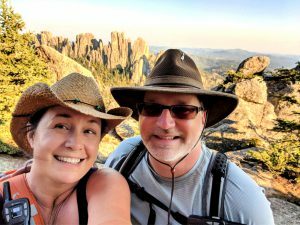 From visors for water sports to hats with sun protection for hikes, have a look at the hats we take camping. I love these pants so much that I own a pair in every color- and each of my daughters also own them! 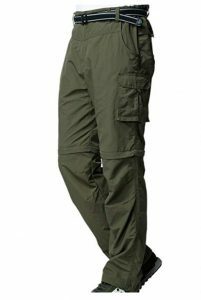 With 11 pockets these are the most useful & versatile travel pants for women. I wear them all the time- from walking the dog to hiking up mountains! They can be worn long, or ruched up to a mid-calf or capri length. I do have to note that these are not quick dry, so I don’t recommend them for water activities. My husband doesn’t go camping without his quick dry convertible pants. 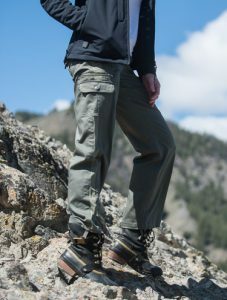 The cargo pockets give him room to carry small objects easily, and the pant legs, when detached, take up very little room. Available in black, khaki, olive, and grey. Our GoPro is a constant camping companion. We take it hiking, biking, and white water rafting. Horseback riding. Zip lining. Pretty much everywhere. The GoPro also doubles as our dash cam. The looping setting is perfect for recording miles of roadway without filling an SD card. I have the GoPro HERO 5; the 6 & 7 are both slightly newer. Any are a good choice. 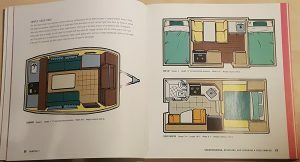 The perfect gift for the RVer who dreams of restoring a vintage Airstream- or just wants to make some updates to their existing camper or RV. 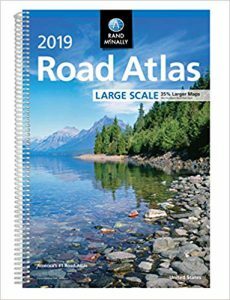 As you plan your vacation routes- or just check your drive- there is really nothing like having a large road atlas at your fingertips. Not only can it assist as you get off the interstates and highways, but you’ll likely find some interesting spots that you wouldn’t see on Google maps. This app has saved the roof of our RV at least 5 times- as well as keeping us from making some wrong turns that could have been dangerous for us as well as other drivers. These are my tips for the best camping gifts to give in 2018. What camping gifts are you giving this year? Share your gift ideas in the comments! This is such a great list. 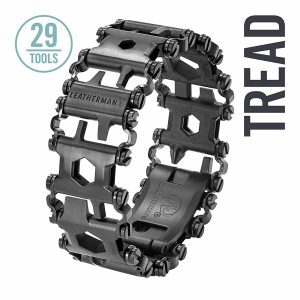 I love that Leatherman bracelet, and I just got the Moon guide. Camping season can’t come fast enough!